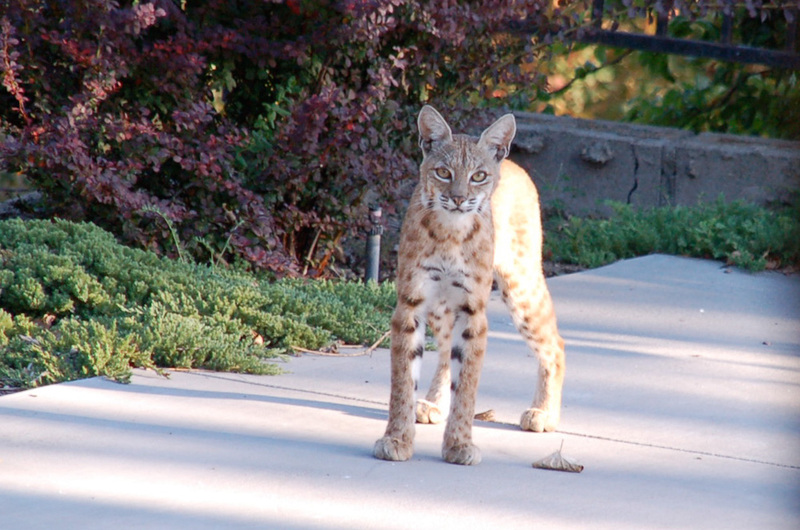 Thanks to my friend Steve German for sending along this photo he took of a bobcat that visited his home. I love photos of the local wild animals, and this one is particularly good. Bobcats really are beautiful animals. Tomorrow, one of the bobcat youngsters that was also along for the visit. He really is beautiful Keith, my what long legs he has! How amazing to see one just like that! oh my, she's tall and slender. Have you heard of the new breed of domestic cat called a pixiebob? supposedly it has bob cat ancestry. Seems some weird mix is always being found in a barn somewhere; becoming the genetic stock for a new kind of cat.